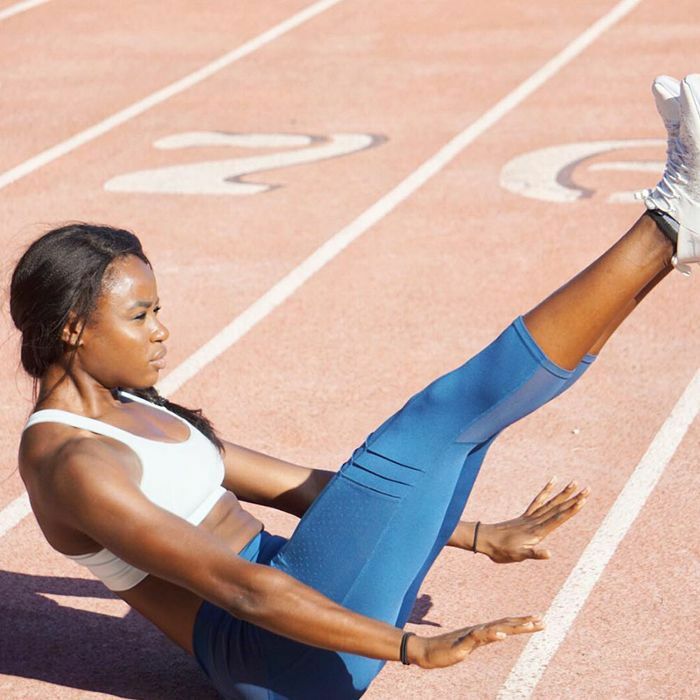 "Most people think of core training as a bunch of different variations of crunches and leg raises, but there's so much more to core training," Raphael Konforti, Youfit Health Club's national director of fitness, recently told Popsugar. Instead of doing endless sit-ups and traditional moves, Konforti explains that more "holistic exercises" like plank variations can strengthen and activate your core much more than plain old crunches can. By adding small movements to planks where you would typically hold still, you get a seriously effectively workout. This is the ideology behind Konforti's three-move, 10-minute ab workout. Here's how to do it. 1. Start in push-up position. 2. Lift one hand off the ground before lifting the opposite knee. 3. Pause for three seconds. 4. Lower back down and do the same motion on your other side. 1. Begin on your back with arms stretched out next to your head. 2. Lift legs and shoulders two inches off the ground. 3. Lift hands and feet so they touch directly above your core and your hips and upper back are off the ground. 4. Pause, and then reverse the motion until you are back in starting position. 1. Start in a side plank on your right side. 2. Lift your left arm and left leg as high as you can. 3. Lower limbs back down. Do three sets of 30 seconds (at least 12 reps on each side).